We're in the midst of winter here in the Midwest and so one of my friends asked me what's a treat for winter blues. "Ginataang Halo-halo" is my quick reply. 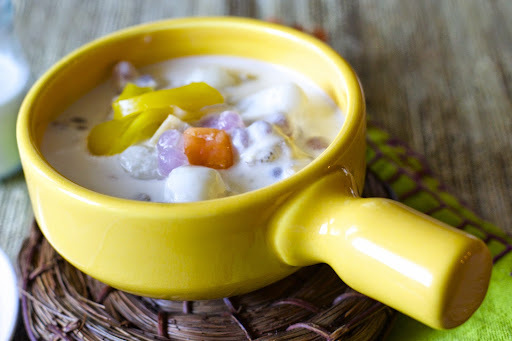 Ginataang halo-halo is a popular Filipino treat or snack that is made of mixed fruits, rice balls, tapioca pearls cooked in sweet coconut milk and cream. Growing up in my hometown, Tuguegarao, I really didn't care for ginataan. However today, the smell of ginataan brings me back to those afternoons where we were forced to take naps and as soon as we wake up the smell of freshly cooked ginataan greets us. 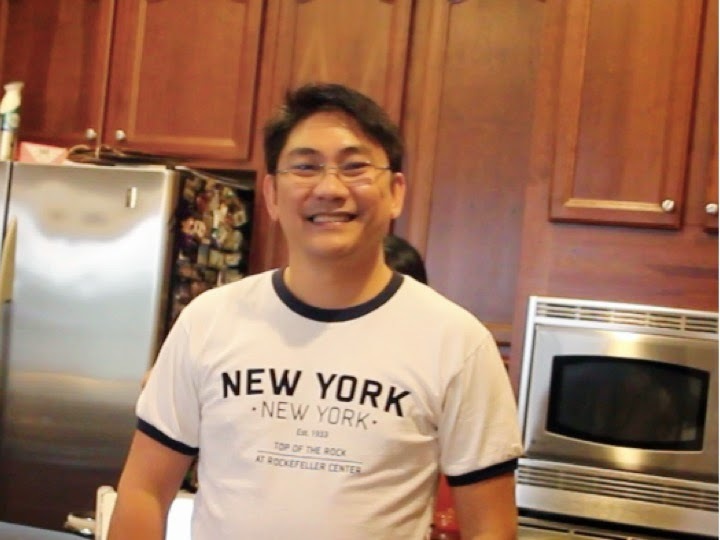 For today's segment the recipe that I'm going to share is from my good friend and Kababayan from Cagayan Julie Vandamme. 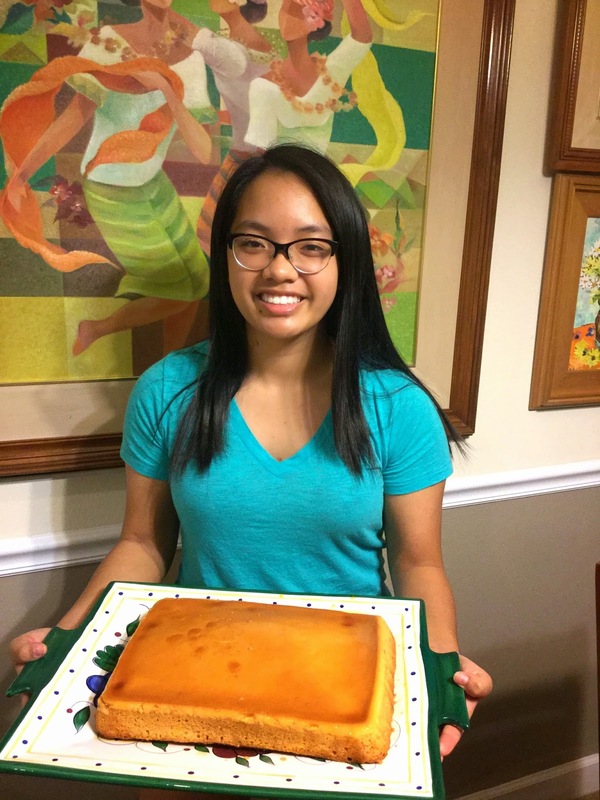 She shared with me the secret and tricks on how to make the creamiest ginataan ever. Salamat Julie! 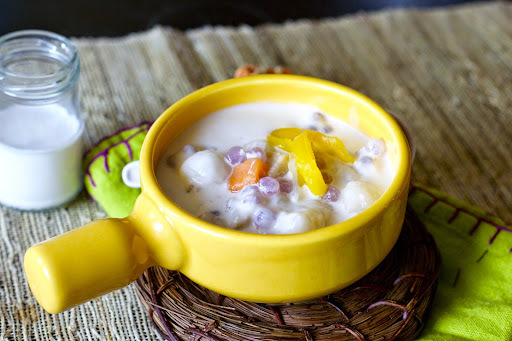 First step is to make the bilo-bilo or rice balls by adding water into the flour. Pour the water little by little to achieve a dough-like texture. Grab a handful of the dough and and roll it, making small marble sized balls. Add the rice balls. Cook for another five minutes. Now add the tapioca pearls and the jackfruit. Sweeten with sugar, and adjust according to your liking. Now add the fresh milk and the heavy cream. Remove from heat. You could serve it hot or cold, but for this cold winter weather, hot is the way to go. Remember a bowl of ginataan is so comforting, it could cure your winter blues away. Thank you Julie and Izzy for this segment! Hi everyone! I hope everyone had a wonderful Christmas and a festive New Year’s celebration. 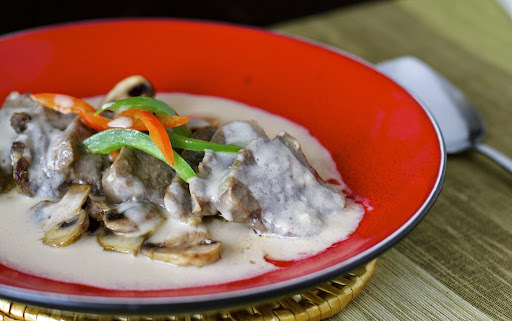 So for my first post in 2015 I want to share something really special for all of you: it's my LENGUA IN CREAMY WHITE SAUCE. I know I have posted this recipe before but today, I am re-posting it as my featured dish in my cooking channel on YouTube. Click here to watch the episode. Lengua is the Spanish word for tongue. It is widely used in many cuisines like Mexican tacos and burritos, Turkish, French, German, Spanish, American and many more. To some, cooking lengua is tedious or intimidating, but I will show you that is easy and fun. First, we clean the lengua with salt to remove the grime. Put the lengua on a stockpot and throw in some bay leaf, peppercorns, salt, celery. Let it boil until tender. Remove the outer layer. It looks like a rubbery cover that would peel off easily. Make sure to clean the inner now exposed layer. If you want your sauce to be thick add some flour at this point. De-glaze the pan with white wine. Make sure that the pan has no burnt substances. You want to get the flavor of the browned lengua and not the burnt ones. Pour the white wine mixture. Add the heavy cream and milk and beef stock. Add the green olives plus the green and red bell peppers.